An ankle sprain is not really a specific diagnosis. It is a term that describes a mechanism of injury to the ankle , that being weight bearing & inversion of the ankle. Most commonly it is the lateral (outer) ankle ligaments and the underlying ankle joint capsule which are injured to a variable extent. 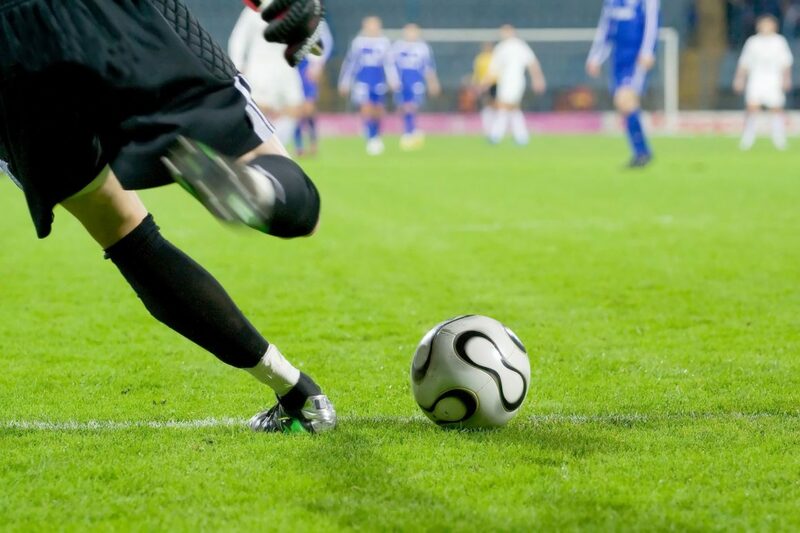 There is often an element of forced plantar-flexion of the ankle which can produce injury to the back of the ankle and pain subsequently when the foot is pointing downwards such as when kicking a ball or walking down an incline. What else can be injured when an ankle sprain occurs? The same type of forces around the ankle can result in an ankle fracture which can usually be detected using an X-ray and may require operative treatment or plaster cast immobilisation. Fractures can also occur in the foot ,in particular the 5th metatarsal base ,and pain in the foot needs assessment also. More rarely the peroneal tendons can become dislodged from their normal position behind the fibula, a condition known as peroneal tendon subluxation. This will lead to a feeling of instability of the ankle combined with obvious movement of the tendons. This condition usually requires operative treatment (but is rare). At the time of injury a crush injury can occur to the inside of the joint resulting in chondral (cartilage) or osteo-chondral( bone and cartilage) injury to the lining of the ankle joint(1). This is often not picked up by X-ray and may be diagnosed only later when the ankle fails to settle as expected. Often an MRI scan is required to diagnose this condition. Bleeding into the joints itself is associated with many of these injuries and this can lead to chronic inflammation setting up in the soft tissues within the ankle joint known as synovitis. Alternatively the bleeding may eventually lead to scar tissue forming within the joint which can interpose itself between the bones of the ankle (known as arthrofibrosis) .Both these conditions can produce pain and feelings of instability long after the ankle sprain should have settled. What symptoms might I have after an ankle sprain? The initial symptoms following an ankle sprain are pain, swelling and bruising . Additionally, it is not unusual to find that the joint may also feel immediately unstable. An inability to weight bear after a presumed ankle sprain is something which requires immediate medical review. Pain to the touch of any of the ankle bones or an inability to put weight through the ankle following ankle sprain necessitates an x-ray examination (the Ottawa ankle rules). The ankle may also feel unstable after a sprain. Especially in the early stages after an ankle sprain if it feels unstable it can be difficult to diagnose whether the ankle has become mechanically unstable due to a significant lateral ankle ligament injury or it is simply functionally unstable(this means it feels unstable due to pain from the joint or muscle weakness but the ligaments remain in good shape). It should be appreciated that the ankle ligaments are not the only things which stabilise the ankle joint. Other factors are its bony anatomy as well as the encircling tendons and their associated muscles. Even if the ligaments remain unstable it is possible that by training the muscles appropriately the ankle joint may once again become stable. Many ankle sprains produce short-lived and mild symptoms and require no specific management. It is generally accepted that following an ankle sprain that requires intervention (as determined by the level of symptoms and restriction) the results of functional rehabilitation are better than no treatment or simple plaster cast immobilisation. Functional rehabilitation is generally a physiotherapy supervised programme. The specifics will vary but there are three phases of treatment. The first phase of treatment after an ankle sprain is to rest, elevate and ice the ankle. If available, a cryo-cuff can be of use in this phase and non-steroidals may be of use if these are not contraindicated. A post-operative boot & crutches may be required to aid mobilisation . Once the acute phase of bruising and swelling after an ankle sprain settles (usually 1-2 weeks) the second phase of rehabilitation begins. This entails supervised gym work aimed at maintaining/improving ankle movement and also increasing strength and stability from the muscles. A removable ankle brace is often helpful during this phase during treatment. Once fully comfortable weight bearing is possible and some strength and stability has returned to the ankle joint, rehabilitation can progress to a more taxing phase with a wobble board and isometric training. Once this is comfortable and the ankle feels stable then stamina training and reintroduction to sporting activities can begin. What is the expected recovery after an ankle sprain ? By six weeks following an ankle sprain once should expect a 90% chance of being back to a good level of function. However, it is likely that at this stage following an ankle sprain you are likely still to have some minor residual symptoms of pain or instability from the ankle joint.. The further away one gets from the index injury the less likely these residual symptoms are likely to improve of their own accord. The MRI will also not diagnose the vast majority of soft tissue problems inside the ankle joint which lead to ongoing symptoms. The reason for this is that the soft tissues inside the joint have a high water content which means they are difficult for the MRI to distinguish from the normal joint fluid. It is common to arthroscope an ankle with a “clear” MRI scan if there are ongoing problematic symptoms. 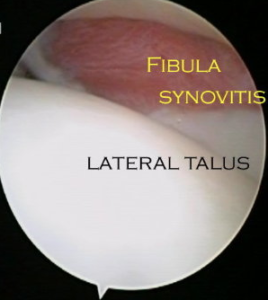 There is almost always pathology within the joint in this situation following a sprain that has failed to settle. What to do if the ankle doesn′t settle after a sprain ? If at three months with rehabilitation your ankle is still painful and or unstable and not improving our protocol is to MRI the joint to exclude an osteochondral defect as being the source of symptoms as well as to look for other pathologies (such as tendon tears) that can result from the injury and cause ongoing symptoms. This is done as a precursor to intervention and not used as a determinant of whether intervention will help. Intervention may simply take the form of an injection of steroid and local anaesthetic into the joint or may require an ankle arthroscopy (possibly with a microfracture of the Talus or a lateral ligament reconstruction (see Ankle Instability & Osteochondral defect sections for a fuller review). The chance of success is determined by the nature of the pathology and intervention but in general terms a 65 % chance of improvement for cases amenable to injection and 85-90% for those requiring operation. There is a chance that symptoms may spontaneously improve after 12 weeks , it is simply far less predictable.